For a king whose reign is otherwise well documented it is curious that the cause of Edward’s death remains a mystery. It would appear that his death was unexpected. It seems he was first taken ill at the end of March and despite having access to some of the best medical care available at that time, died on the 9 April at his Palace of Westminster. Mancini attributed his illness to a cold caught while fishing. Commynes mentions a stroke while the Croyland Chronicler wrote he ‘was affected neither by old age nor by any known kind of disease which would not have seemed easy to cure in a lesser person’ – in other words the doctors didn’t have a name for the illness that sent Edward to his grave. How strange. Rumours abounded of death by poisoning some even going so far as to blame it on a gift of wine from the French king. Molinet ascribed it as the result of eating a salad after he had become overcome by heat (in April! in England!!) which caused a chill, others said it was an apoplexy brought on by the treaty of Arras, malaria was even suggested. Later, Sir Winston Churchill in his History of the English Speaking Peoples, would put it down fair and square to debauchery. But at the end of the day , as Richard E Collins points out (1) most people were concerned with what happened AFTER Edward’s death, rather than what caused it. 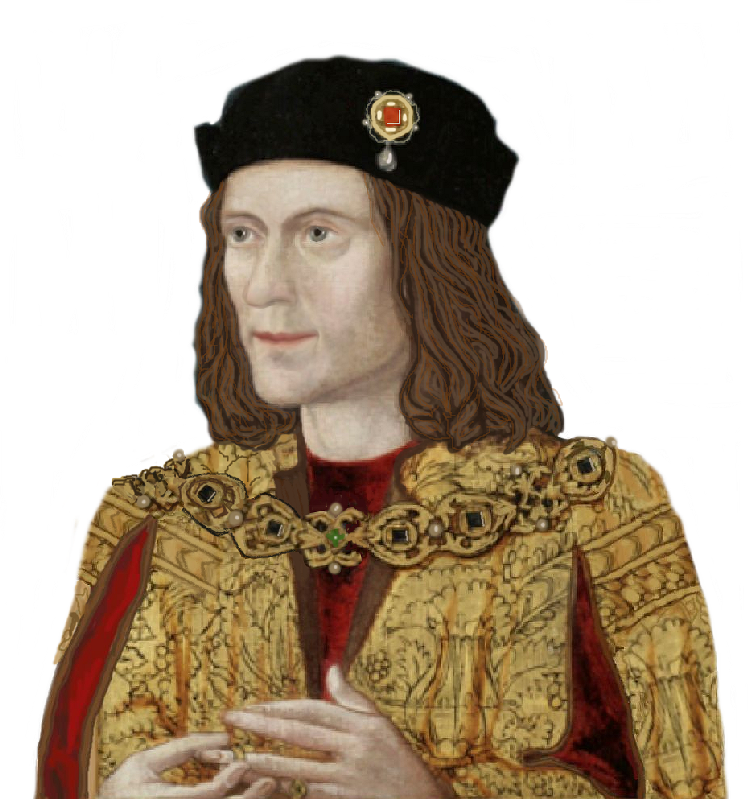 Collins wrote an essay on Edward’s death that was included in Secret History the Truth About Richard lll and the Princes. He had a considerable knowledge of medical matters and having done some very through research into the death of Edward presented his findings to other medical professionals for their opinions. They all concluded ‘that the cause of death which best explained all the known facts was poison, probably by some heavy metal such as arsenic’. First of all an attempt to solve the mystery was to run though Edwards symptoms but first of all deal with the timescale. Given that the Croyland Chronicler wrote that Edward took to his bed around Easter and since Easter Sunday was on the 30 March ‘we are dealing with a period of around 10-12 days from inception to death. If peoples behaviour was anything to go by his death came as a surprise to the Court’. As Edwards body was laid out naked for viewing, Collins was then able to rule out death caused by violence, there being no traumas/injuries, accidental or deliberate, no puncture wounds, bruises etc., Furthermore there were no marks to be seen of specific diseases such as mumps, smallpox, measles, scarlet fever, chicken pox, bubonic plague, typhus, enteric fever. Other non-infectious conditions that mark the skin are also able to be ruled out such as purpuras (blotches caused by bleeding under the skin) which can be caused by leukaemia, haemophilia, plague and alcoholism. Thirdly there was not the ‘wasting’ caused by cancer, unrelated diabetes, septicaemia or starvation caused by malabsorption. Anything sudden such as a massive coronary, stroke, pulmonary embolism or a perforated ulcer can be ruled out due to the timescale. Long drawn out conditions such as ulcerative colitis, diverticulitis and cancer can also be ruled out. Collins then considers the contemporary sources beginning with Sir Thomas More, who writing 30 years after the event makes no comment on the cause of death save ‘he perceived his natural strength was so sore enfeebled that he despaired all recovery’. More, as was his wont, wrote a pages long speech delivered on his deathbed. Collins who had been present at least on 200 natural deaths had never heard a deathbed speech. However as we know More never let the truth stand in the way of a good story. The Crowland Chronicler also gave no cause while Vergil wrote that ‘he fell sick of an unknown disease’. The only definite accounts actually come from those who were least likely to be in the know such as Mancini and de Commines, Mancini puts Edward’s death down to a mix of ‘sadness’ plus a cold he caught while on a fishing trip. According to Collins this does not add up as the suggestions of Edward dying of grief cannot be taken seriously and as for the chill he would not have been able to indulge in such a frivolity during Holy Week – therefore the latest this trip would have been taken place was the 22 March – which would mean that Edward hung around in a fever for 10 days without treatment which is also unlikely. Collins add ‘Mancini is remarkably popular with those who dislike Richard and it is sad to proclaim that their supporter is a speaker of Rubbish’ – priceless! De Commines ascribes his death to apoplexy and ‘while it is possible to have a stroke 10 days apart, the second proving fatal, it is quite impossible to believe that no-one expected him to die after the first, but obviously they didn’t’. Hall later wrote ‘whether it was with the melancholy and anger that he took with the French king…or were it by any superfluous surfeit to which he was much given, he suddenly fell sick and was with a grevious malady taken, yes so grievously taken, that his vital spirits begun to fail and wax feeble..’. Basically Hall didn’t know how Edward died either. Collins makes the observation that ‘medieval physicians had at best a poor understanding of medicine and at worse a ridiculous and dangerous one. This represented a falling away from the common sense views and practices of the Greeks, which if they could not cure much knew how not to make a patient worse. In 1483 most medieval practices were designed to do just that – make the patient worse that is – and they succeeded well. Almost any condition was treated by drawing off a pint of blood or more and administering emetics and laxatives to ‘purge evil humours’. Such a regime is seldom good for a sick person and will often kill rather than cure by dehydration if you go slowly or by shock if quickly. Only rarely did they have a treatment that was effective, one case in point is apoplexy where bleeding will reduce the blood on the cerebral vessels…medieval medicine was more often more dangerous than the disease and most people avoided doctors if they could. Despite this medieval doctors were rarely at a loss for a diagnosis and the terms they used are a joy to read – Chrisomes, Frighted, Griping-in-the-Guts (a small town in Gloucestershire? ), Head-moult-Shot, Rising of the Lights Lethargy and meagrome’. Collins sums up with it may well worth be listening to Crowland after all, he may have been present at Westminster at the time and spoken to physicians about the case, when he said that Edward was affected by ‘no known disease’. As to why someone would want to send Edward to an early grave by poisoning, that dear reader is another story. I have drawn heavily from R E Collins excellent treatise on the subject but would mention that anyone who is interested in this theory would do well to read (if they have not already done so) The Maligned King by Annette Carson, who also covers this theory thoroughly in chapter 1. To the delight of travelers across the globe, tired of lugging all those hard-copy books on planes, trains and automobiles, Annette Carson’s Richard III The Maligned King has just been released in ebook form and can now be purchased on Amazon.com. Along with John Ashdown-Hill, Carson is part of a new generation of historians who have pushed forward new-found information that has helped to rehabilitate Richard the Third’s reputation in the 21st century with an energy matched only by their scholarship and dogged research. Originally published in 2008, Richard III The Maligned King is not a biography but an examination of what happened from the moment his brother, Edward IV, died to his own untimely death. It relies almost solely on contemporary accounts and moves in a direct timeline that makes enthralling reading. Carson displays a ready wit and is not afraid to take on the hoary myths that cling to traditional historians like Spanish moss on a crumbling hacienda. Although busy with new projects, Carson was able to spend a few moments with The Murrey and Blue to share her thoughts on Richard the Third and her background which led her to write about the maligned king. Can you give us a little information on your background, Annette? Like many people of my generation (I was born in 1940 and grew up in a single-parent family) I couldn’t afford a university education. Music ran in my family and I was guided towards the Royal College of Music but I soon knew it wasn’t for me. I married an actor and joined the staff of RADA as Front of House Manager, and then spent the next twenty years working the entertainment industry, including spells at Equity and Thames TV. By 1984, having been involved for ten years in the sport of aerobatics and produced a fair amount of aviation writing and journalism, I was invited to co-author a book on aerobatic technique which was well received. I was then commissioned to write a world history of aerobatics, which kicked off my professional writing career. I enjoy technical writing and the research that goes with it, which in this case entailed learning Russian and took me to four continents. That book sold 14,000 copies and my next book, a biography of the rock guitarist, Jeff Beck, is still in print and has sold over 15,000. As you can tell, I follow where my muse takes me…so when other authorial ideas didn’t take off (I was JUST beaten to the draw on a proposed biography of Alan Rickman!) it occurred to me to put my ideas about Richard III into a book. I’d been fascinated by Richard since 1955 when I was taken to see Olivier’s film of Richard III on a school trip. Already a great lover of Shakespeare, I had never thought to doubt his mesmerizing portrayal of villainy. So it hit me like a thunderbolt when my teacher said that many people considered him to have been a very good king whose reputation was deliberately blackened. 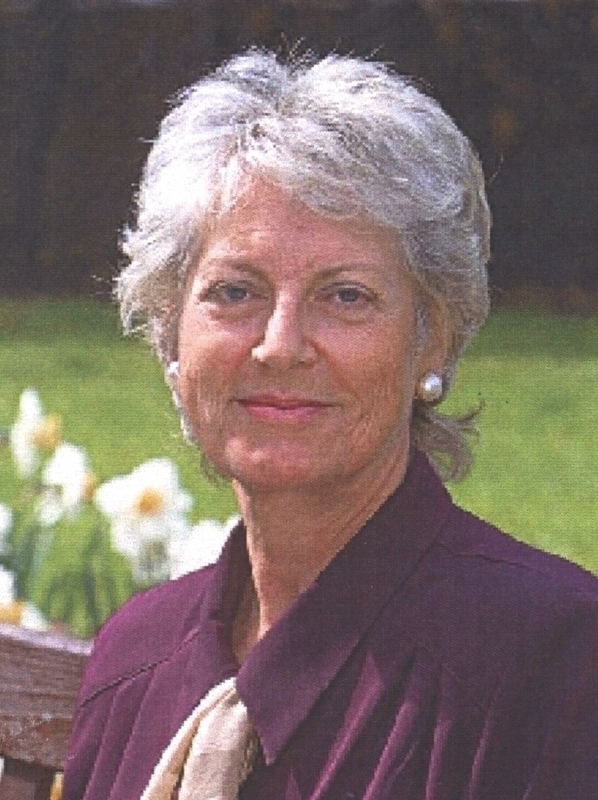 I’m something of a campaigner at heart – I took a particular injustice as far as the House of Lords and the European Court of Human Rights – so from my schooldays onwards I read as much as possible to try to uncover the truth. Can you tell us something about your research methods? Obviously, the ideas in my book had been germinating throughout decades of reading, so I had a lot in place by the time of the first draft in about 2002. Fortunately, many of the standard sources were in print long before the internet became the resource it is today and my research entailed mining the documents and articles referenced by writers from Paul Murray Kendall onwards. That’s my advice to anyone wanting to delve into where our ideas about history stem from: become a reader of footnotes! Paul Murray Kendall’s footnotes alone are worth the price of the book and often overlooked when traditionalists criticize him. You did not write a biography of Richard. Why? I specifically didn’t want to write a biography because I was interested only in certain aspects of the years 1483-1485. I had formulated several original ideas I wanted to explore, starting with what was known of the bones discovered in the 17th century and thought to be Richard’s nephews. A major item of interest was to visualize exactly where they were found and what the staircase was like and the terrain around that area. For this I got plans from Historic Royal Palaces and called on expert help from a civil engineer in order to commission an illustration – the only image I know that accurately depicts the discovery site based on contemporary descriptions, aided by illustrations, surveys and plans of the Tower. I also wanted to highlight the importance of the jaw disease of the elder skull, and how significant this would have been if it had belonged to the heir of the crown. Another thing I was keen to research was witchcraft in England in the 15th century, something which, because it already interested me, I knew the usual run of historians got completely wrong and still do. There were many other original ideas – too many to mention – but several have now entered the general Ricardian discourse: e.g. my taking apart all the myth-making in Vergil like Henry Tudor’s supposed oath to marry Elizabeth and the story that her mother meekly gave him her hand thinking her sons were dead. Until then it had always been recited as genuine ‘history’. And then, of course, my introduction of Richard’s bride-to-be Princess Joanna of Portugal, complete with colour portrait, whose existence had been known to readers of scholarly works but only as a shadowy figure. 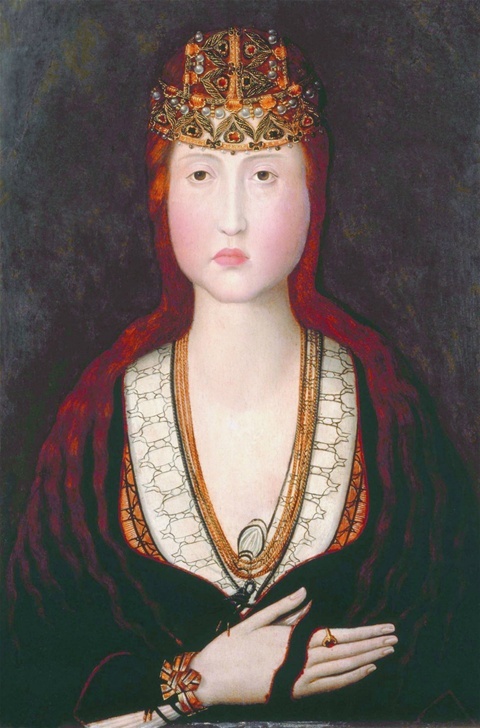 I still maintain (with support from Arthur Kincaid) that my reading of Elizabeth of York’s letter in the Portuguese context is the only one that satisfactorily explains what the young Elizabeth was referring to. Joanna must be one of the most under-reported stories in the history of Richard III. Do you consider yourself a Ricardian? By the time I finished in 2005 I had already written 160,000 words, so you can imagine how long a biography would have been! My overall concern was (and is) always to set 15th-century events firmly in the relevant 15th century context. I like to call myself a Ricardian because I am in sympathy with King Richard but I have to be careful of the word these days because it’s beginning to be used to signify blinkered adulation. As recently as last year the President of the Richard III Society used the term ‘Ricardian translation’ to mean a pro-Richard whitewash. I have no problem with anyone who admires Richard or with novelists who fictionalize him but it’s worrying when the boundaries get blurred and even Ricardians sometimes fail to make a distinction. Occasionally I have to check your book and other non-fiction to see whether ‘a fact’ I’m using in an argument is indeed true or was inserted in one of the many novels written about the king. It gets confusing. Let’s be clear that I’m all in favour of speculation, because it can open up startling new trains of thought – and the Ricardian ground is so well-trodden that any new way of looking at something can be good for broadening horizons! It’s sad, actually, that so many readers want a book about history to be a history lesson, and so many historians want to give them precisely that, right down to psychological profiling. Whereas my job as a non-fiction writer is to explain how few and tenuous are those things that could be deemed factual, and to offer alternative constructions to conjure with and ponder upon. I say what I think, and what others think but I don’t tell you they are the only conclusions. I’m afraid there won’t be any new work on Richard III. Unfortunately, I’ve found the atmosphere around Ricardian studies growing distinctly uncongenial and egocentric, so I’ve returned to aviation. I am presently researching a biography of a courageous young World War I pilot which I hope to be ready for his commemoration in 2018. My last Ricardian outing is assisting Arthur Kincaid with his updated and revised edition of Sir George Buc’s History of Richard III, which involves many interesting discussions and much repeated proof-reading. Interestingly, the reason for Dr. Kincaid’s departure from the Ricardian community thirty years ago resembles mine. It took considerable encouragement and persuasion for him to return to Buc, and I promise that when it’s published it will contain a treasure-trove of accurate and illuminating footnote references to delve into. So you haven’t completely moved on from the maligned king! I look forward to being able to buy both of your new books. Thank you so much for sharing your time with the Murrey & Blue and I hope everyone purchases this new electronic edition .